2 An example of the pronunciation of words and sentences. 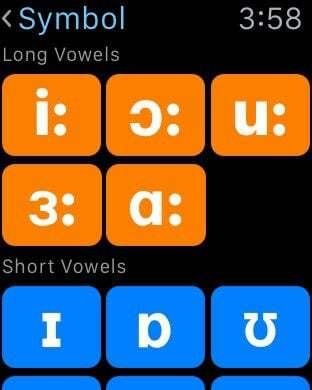 4 iPad, iPhone and iPod Touch resolutions HD Retina graphics.
. Continous play from any choice phonetic (last phonetic pronunciation).
. Timing off function, you can always open before going to bed!
. 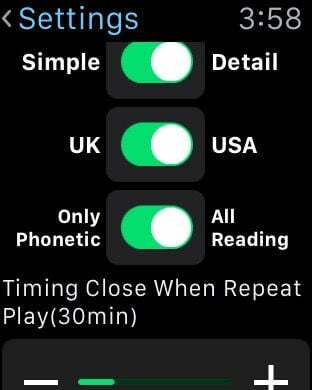 US-British tone tone freedom of choice.
. Additional phonetic learning: phonetic form, learning methods, knowledge of English phonetics.
. 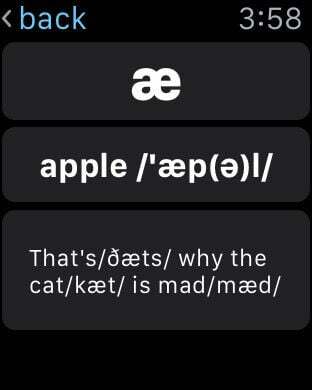 Massive words, phrases, sentences and pronunciation mouth, bilingual.
. Click on any phonetic, can pronounce the word phrase.
. 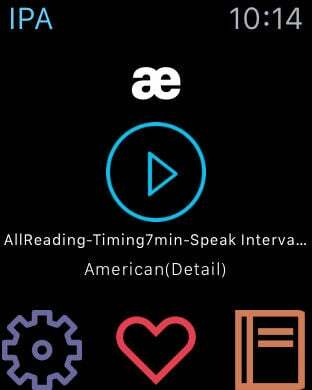 Detailed, streamlined mode selection, adapt to different levels of English learners' needs.